The big ear on the outside of our head should be closed. It is so good at hearing that the inner ear goes deaf. What if you had no hearing at all, no nose, no mind-stuff! Our sounds, our work, our renown, these are our outer. When we move inwardly, we move through inner space. Our feet walk firmly, they experience sidewalks well. “Allah, Allah, Allah” they chanted together, swaying back and forth from their knees, eyes closed. I had never seen anything like it before. Muslims engaged in a kind of call and response liturgy where physical performance played such a large role in accessing the divine. Sure there are the five daily prayers with rituals of washing and kneeling, but this chanting followed by endless twirling was something completely new to me. 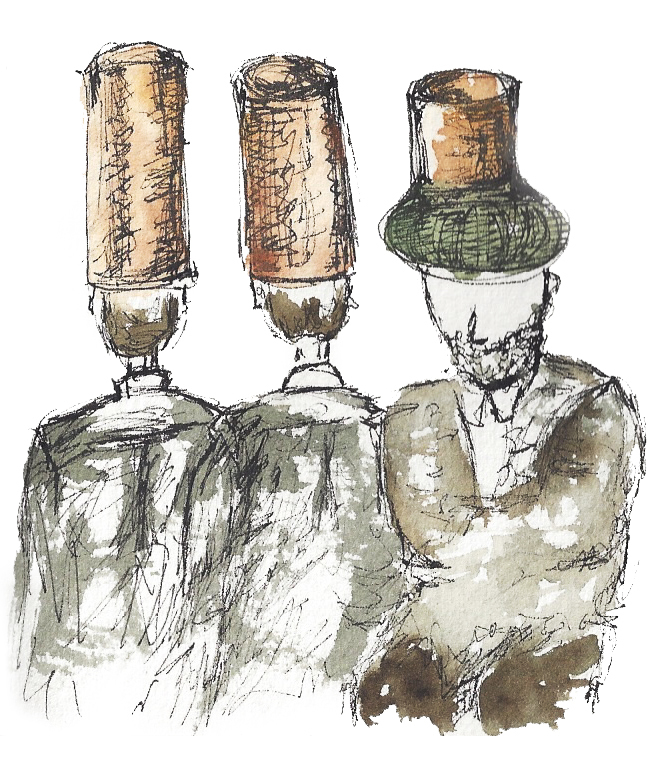 Sufism has been described as “a science whose objective is the reparation of the heart and turning it away from all else but God” (1) – largely through mystical interpretations of scripture and seeking transcendent personal experiences. It is often traced back to early Islamic practices but some claim it precedes Islam as a way of thinking about the world, the self and God. 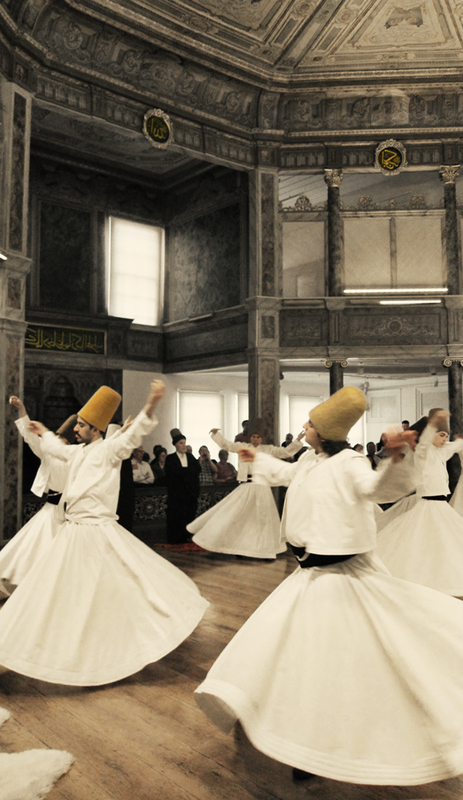 There are brands of Sufism in North Africa where musically induced trances play a significant role in the process of turning away from all else but God, and in Turkey, Whirling Dervish Ceremonies or “Sema” allow practitioner to transcend death of self, the material world, and be reborn. “But why is one hand lifted to the sky and the other facing the ground?” I whisper to Max, who, for some reason, generally has answer to these kinds of questions. “It is to receive blessings and enlightenment from God with the one hand and give to those in need with the other,” he says. 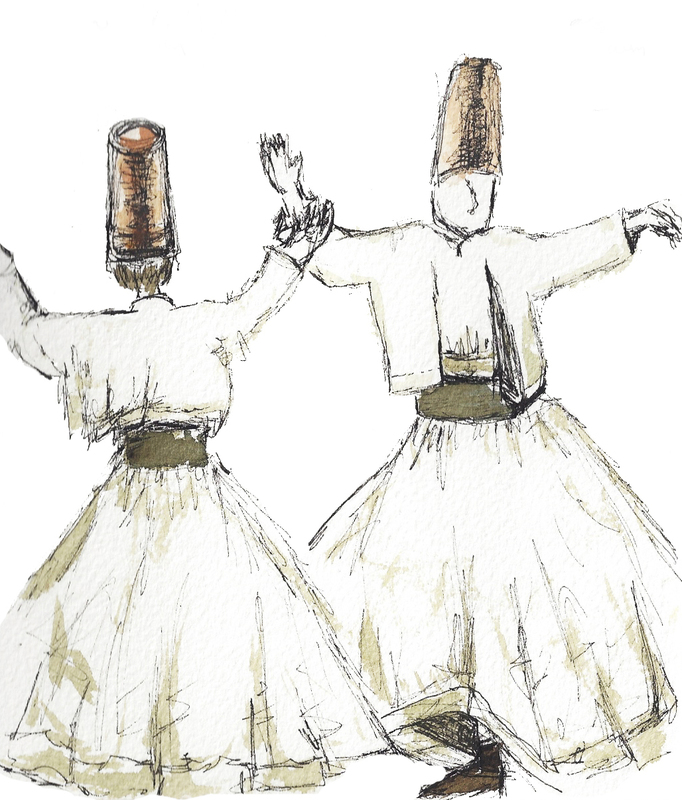 We watched, completely enraptured, as the dervishes spun around, their left foot planted like an axel, skirts spread out wide around them. We visited a fairly progressive lodge where women were allowed to participate and watched as sweat trickled down the face of an elderly woman in front of us. The ceremony, while spiritual in purpose, is intensely physical. The young man in front of us, who couldn’t have been more than 18, tilted his head to heaven, eyes closed and never faltered in his perfect revolutions. The look on his face was of completely serenity – and surrender for that matter. This experience proved the perfect counterpoint to what had for us, admittedly, been a form of worldly worship based on food and architecture and history and gave us a lot more to think about. Which is what any good trip is about anyway. (1) Ahmed Zarruq, Zaineb Istrabadi, Hamza Yusuf Hanson. The Principles of Sufism. Amal Press. 2008. If standards are sufficiently low and I make it to Heaven, there will be Eskander. And perhaps also thick clotted cream with jellied quince, milk and hazelnut soaked pistachio pastries called Sutlu Nuriye, sticky almond helwa made from paste of ground nuts and honey, but certainly Eskander. Before we left for Turkey a friend had recommended this dish made of spit roasted lamb, grilled peppers and tomatoes served over a bed of butter fried flat bread and under a rich buttery tomato sauce and an ice cream scoop of creamy yogurt. Simple, really, but so incredibly rich and tart and satisfying all at the same time. 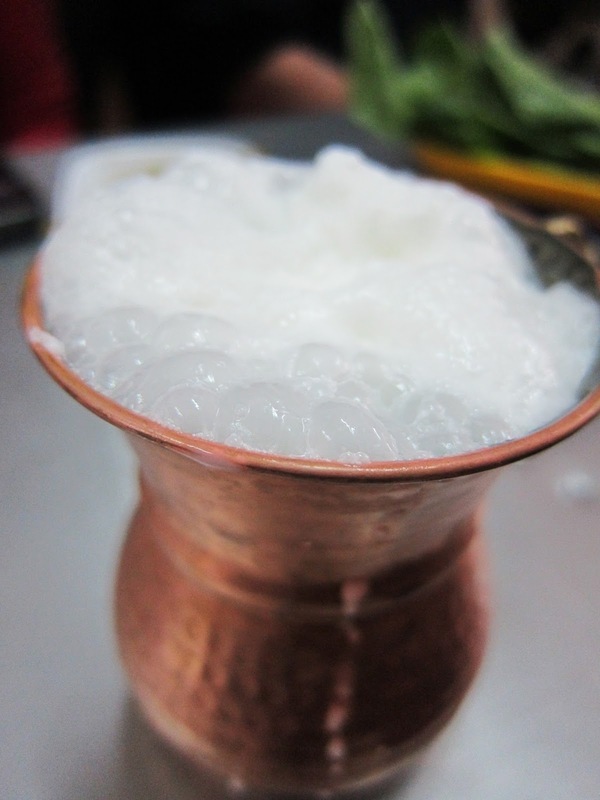 Our food tour started in a 16th century "Khan" designed by the great Sinan that functions as a workshop today. A pickl-a-torium! There's nothing they won't pickle in Istanbul. We had a midday pickle juice pick me up. We took the redeye to Istanbul and had only a few moments to drop our bags at the hotel before booking it across the Bosphorus to meet our guide for a culinary tour of some of Istanbul’s neighborhoods and backstreets. 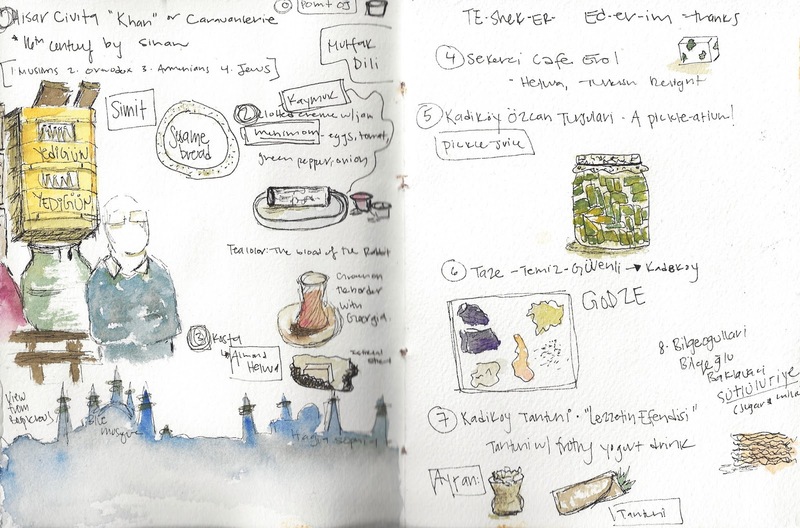 I had a sense that Istanbul was our kind of food town and it exceeded any expectation we had. We walked (later waddled) from one closet sized food shop to another sampling Simit - a pomegranate glazed breakfast bread covered in sesame seeds, Ayran - a frothy yogurt drink served in cool bronze mugs, Mennimem – a slow cooked dish of eggs and peppers, Tantuni – a turkish styled taquito filled with ground beef, spices and a grilled pepper, rice stuffed eggplant and mussels, pickles, olives and later in the week, spicy red pepper salad with buffalo yogurt, white fish with caramelized onion, warm bready Pides drizzled with butter, dried carrot leather and Turkish delight. 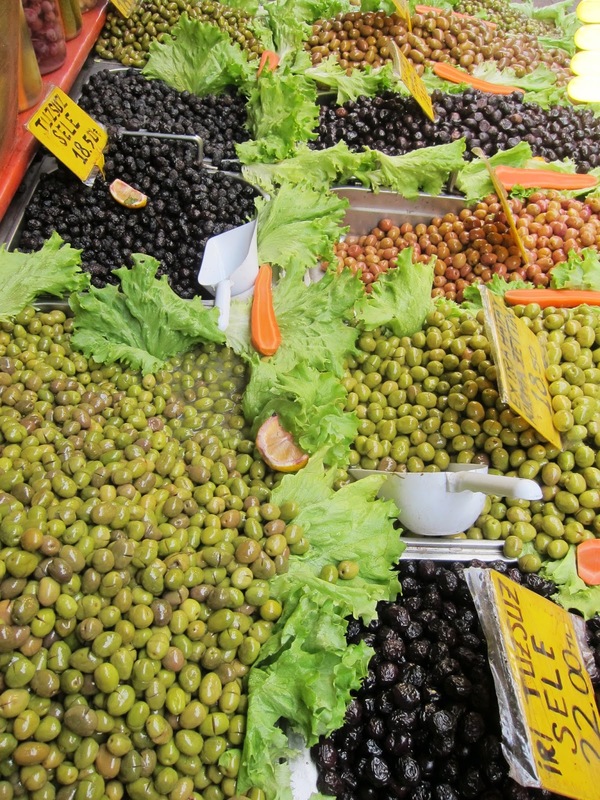 Not unlike the small portion style grazing in Spain, Istanbul’s “backstreet” food is flavorful, simple and fresh. I broke up tours of byzantine churches with small kebabs, tile museums with sips of herbal apple tea and mosques with pomegranate sweets from the spice souk. 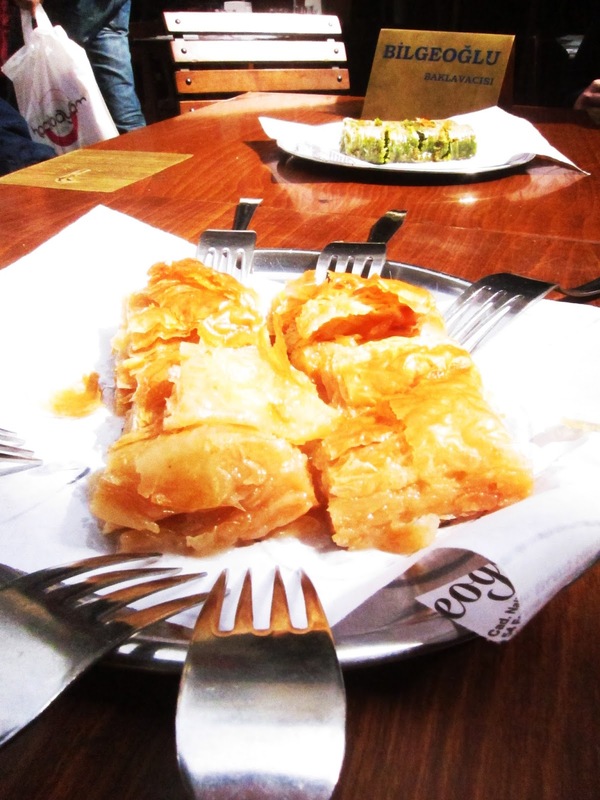 All this is to say that Turkish food is divine and we sampled a good bit of it.